The Cooperative provides pupil transportation services for special education, public, non-public, vocational-technical and charter students. 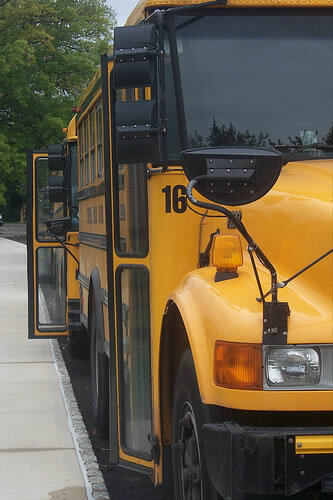 Transportation is also provided for students attending after school activities and extra co-curricular activities. The Cooperative consists of numerous school districts that have combined efforts in order to secure efficient pupil transportation routes. The purpose of this site is to inform and clarify responsibilities in contributing to the safety and efficiency of the transportation process for the parents, pupils, school administrators, local district, child study teams, and transportation contractors. Due to the sensitive nature and technical skill required to provide successful pupil transportation services, teamwork between the school district and transporter is imperative. child to and from their destination. We follow all applicable federal, state and local regulations in meeting the individual needs and requirements of each child. Click here to view our updated 2018-19 routes. Most school districts utilize the Honeywell Instant Alert System for quick notification of school closings due to inclement weather. If routes are shared with other school districts that does not have access to the Honeywell System, here are web sites that can be accessed to locate current school closings due to inclement weather. WOR Radio Website - Covers many of the northeastern NJ schools. WNNJ-FM Website - Covers many of the northwestern NJ schools.